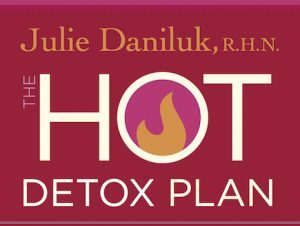 It is my absolute pleasure to have Julie Daniluk join me on More Than Good Food to talk about her new Hot Detox anti-inflammatory program to heal your gut and cleanse your body. 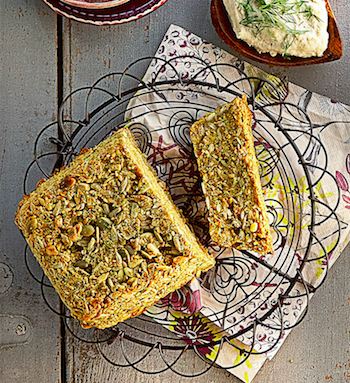 Julie Daniluk is my favourite cookbook author! Meals That Heal Inflammation helped to rekindle my own mindfulness about what we eat. Her book has helped over 100,000 people enjoy allergy-free foods that taste great and assist their body in the healing process. Her second bestseller, Slimming Meals That Heal, explores why inflammation causes weight gain and how anti-inflammatory superfoods shed pounds with dieting (how awesome does that sound)! Julie is the host of Healthy Gourmet, a reality cooking show that looks at the ongoing battle between taste and nutrition. She has also appeared on hundreds of of television and radio shows, including The Dr. Oz Show, and is a resident expert for The Marilyn Denis Show (my favourite episode is about Tea). Check out more amazing recipes and nutrition tips at www.juliedaniluk.com and connect directly with Julie on Facebook or tagging @juliedaniluk on Instagram and Twitter.